The United States and Russia met in the Intermediate-Range Nuclear Forces (INF) Treaty’s implementation forum last month “to discuss questions relating to compliance with the obligations assumed under” the 1987 agreement, according to a State Department press release. The Special Verification Commission meeting, which was called by the United States over alleged Russian treaty violations, took place in Geneva on Nov. 15-16, the State Department said. (See ACT, November 2016.) Last convened 13 years ago, the commission was established by the treaty as the forum to discuss compliance disputes and to “agree upon such measures as may be necessary to improve the viability and effectiveness” of the treaty. Russia denies that it is breaching the agreement and has countered with its own charges of noncompliance by Washington. It asserts that the United States is placing a missile defense launch system in Europe that can also be used to fire cruise missiles, using missiles with similar characteristics to INF Treaty-prohibited intermediate-range missiles in missile defense tests, and making armed drones that are equivalent to ground-launched cruise missiles. The United States disputes the Russian charges and maintains it is in compliance with the agreement. It is not clear whether the November meeting made progress toward resolving the compliance disputes or whether the parties agreed to meet again. A State Department official told Arms Control Today in a Nov. 17 email that the department had nothing to announce beyond that the meeting took place. The session marked the 30th meeting of the commission since the treaty took effect. After more than two decades during which Cold War-era visions of nuclear Armageddon faded from public consciousness, alarms are sounding anew as a result of tense relations between Russia and the West. In light of this, it is worthwhile to explore the context and history of Russia’s thinking about nuclear strategy and its divergence from U.S. and NATO approaches. In the West, there is a tradition of explaining Russian nuclear policy by projecting Western thinking onto Russian defense planners. This often leads to conclusions about an aggressive character of Moscow’s nuclear posture. Yet, the problem is not as simple as that. Its core is that Soviet and Russian nuclear mentality has been and remains very different from that of the United States and its allies. After the Cold War, those strategic discrepancies lay dormant in the background of improved political and strategic relations, having never been openly discussed, to say nothing of being mutually adjusted. Now, when the attention of policymakers and the general public has been drawn back to central nuclear issues, the time has come to correct this deficiency. Otherwise, it may lead to dangerous collisions in crisis situations and disintegration of the nuclear arms control system and process. Incidentally, the official Russian strategic concept has only two differences from the 2010 U.S. Nuclear Posture Review.4 One is that the United States is apparently willing to defend its allies with the use of nuclear weapons if they are attacked by overwhelming conventional forces, whereas Russia does not provide such assurance. The other is Russian readiness to use nuclear arms if facing the prospect of defeat by large-scale conventional aggression, while the United States does not envision such a contingency. 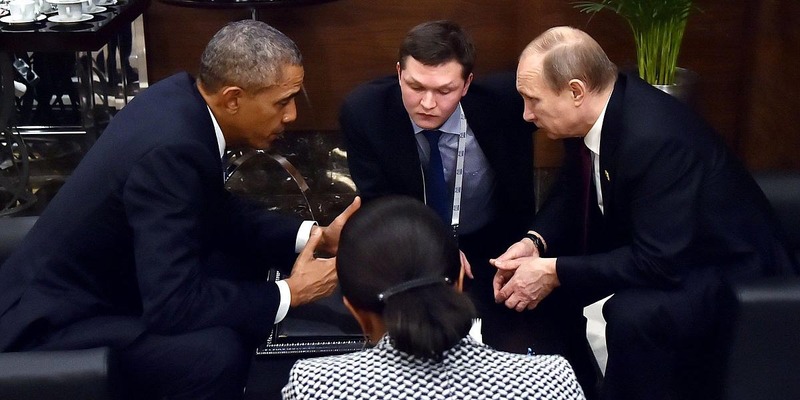 The differences in U.S. and Russian strategic thinking are much deeper than may be construed from official documents. They are related to each nation’s specific way of dealing with nuclear deterrence, which stems from their historical experiences, political systems, decision-making mechanisms, geostrategic positions, and technological developments. Nuclear deterrence was not born together with nuclear weapons. Throughout the 1940s and 1950s, the United States considered atomic and hydrogen bombs dropped from aircraft as the ultimate means to destroy the enemy’s armed forces and urban-industrial assets if the Soviet Union or China were to attack U.S. allies in Europe or Asia. During those years, nuclear deterrence was primarily a fascinating theoretical subject rather than the tool of military strategy. Only by the end of the 1950s, following 15 years of nuclear weapons stockpiling and strategic thinking, did the concept of deterrence come to the forefront of U.S. military strategy. This change was the result of Soviet development of intercontinental nuclear weapons capable of reaching U.S. territory. After that, the U.S. political leadership recognized that nuclear weapons were too dangerous and should be used primarily to deter, rather than to defeat, the enemy. This kind of mentality and its implications were indeed a monumental strategic reformation. Yet, such public statements were unthinkable on the part of any high Soviet official of that time and actually remain unimaginable in today’s Russia, although this reality had been recognized in Moscow. For three decades, from the late 1960s to the late 1990s, McNamara’s way of thinking remained the foundation of the ideology of mutual deterrence and strategic stability, war prevention, forces sufficiency, and strategic arms control. The Soviet Union arrived at similar conclusions about nuclear war much later even at the declaratory level, to say nothing of military planning or arms programs. For the first quarter century of the nuclear age, the fundamental assumption of Soviet military doctrine had been that if a global war was unleashed by the West, the Soviet Union would defeat the enemy and achieve victory, despite enormous ensuing damage.6 Only during the 1970s did Moscow start to change its official declaratory position on the subject and gradually accept the idea of the impossibility of victory in a nuclear war due to its unprecedented destructive consequences. 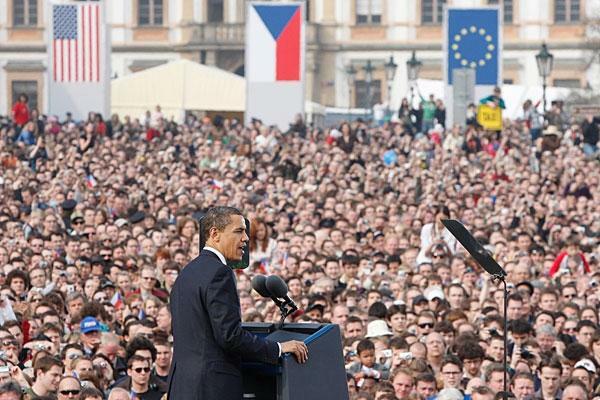 The most important factor shaping this change was the beginning of strategic negotiations with the United States. Currently, after a six-year hiatus following the 2010 New Strategic Arms Reduction Treaty, the two nations are as wide apart as in the early 1980s, which creates a growing threat of a fatal military misunderstanding between them. The stalemate in arms control talks has removed an important channel of strategic communication between Russian and U.S. national command authorities. A prolonged breakdown of regular military-to-military contacts and the arrival of a new generation of commanders, which are more disrespectful and combative toward each other than their predecessors, may result in dangerous collisions when armed forces maneuver in close proximity. No one explained the danger of this widening gap better than William Perry, who served as defense secretary from February 1994 to January 1997 under President Bill Clinton. In his recent book My Journey at the Nuclear Brink, he recalls his experience as a Pentagon official in the late 1970s, at a tense time when the Soviet Union was racing to match then exceed the U.S. nuclear warhead count. He writes that a successful arms control agreement in 1977 could have put a brake on the arms race “but, even more important, it would have engaged us in a dialogue with our deadly foe, given both sides a degree of transparency and, most critically, given us context—a better understanding of our opponent—to inform the awesome decisions we were expected to make in a heartbeat.”9 His observation looking back nearly four decades is relevant today in the context of difficult U.S.-Russian relations. One of the basic attributes of the U.S. political system and, in general, of democratic systems is civilian control over the military. In the USSR and Russia, political and military authorities traditionally have been merged. After the Cold War, there were cautious experiments with the introduction of some civilian elements at the top echelon of the Russian Ministry of Defense, but they had little impact. An illustration of this difference is each state’s arrangement related to nuclear strike authorization. At first glance, there are analogous systems providing the state leadership with an exclusive technical capacity to sanction a nuclear strike and prevent unauthorized use of nuclear weapons. In the USSR, a system was introduced in 1985 that emulated the U.S. “football”—the president’s briefcase containing nuclear codes and commands—which was adopted in the early 1960s.10 Still, there is one key difference between the two systems, which has political roots. Strategic thinking in the West has benefited from the deep involvement of independent legislatures, free discussion between political scientists and military experts, the broad availability of defense information, and the regular movement of civilians and military personnel between government posts and the academic world. This provided for less biased views on the intentions of the opposing side and brought political (rather than military) attitudes to the trade-off between the danger of inadvertent nuclear war and operational advantages of the first strike. Due to a different political system and historical tradition, neither social or physical scientists nor state officials or military ones could freely discuss such topics in the USSR. Discussions became possible in public, legislative, and executive branches of government only during the second half of the 1980s. During the 1990s and early 2000s, following the demise of the Soviet Union, the situation in Russia changed further in favor of the access, although actual nuclear strategy and operational planning remained the exclusive domain of the military, except for a short period of the late 1990s. Now that the two nations’ political systems are no longer as antagonistic as during the Cold War, better mutual understanding of such matters would be beneficial to both parties. Nonetheless, this logic was only super-ficially acknowledged by Moscow. In striving to avert nuclear war, the Soviet/Russian leadership has never recognized that some types of the nuclear posture may make war more probable in a crisis situation at least as its own posture was concerned. Nothing of the kind took place in the USSR or Russia. The benefit of attacking strategic forces of the opponent was never put in doubt, and such capability was to be enhanced within the limits of technology and budget. Counterforce weapon systems and their employment plans have been and are now considered an indispensable attribute of deterrence posture. Hence, the principles of strategic stability, formalized in the 1990 statement, were considered as guidance for arms control but not of strategic doctrine, operational planning, or weapon programs. At the same time, when directed by politically motivated decisions of state authorities, the Russian military had to grudgingly sacrifice counterforce capabilities for the sake of reaching arms control agreements. 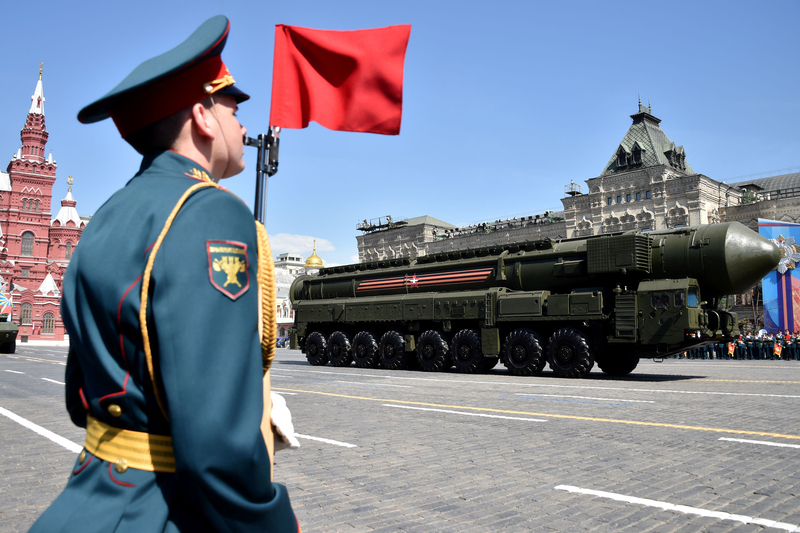 The first Strategic Arms Reduction Treaty (START) forced a 50 percent reduction in Russian heavy, or most powerful, intercontinental ballistic missiles. START II envisioned the elimination of all land-based missiles with multiple independently targetable re-entry vehicles. This is yet another example of the unique role of arms control for Moscow’s strategic policy. It is a matter of great uncertainty whether U.S. logic of “nuclear first use and phased escalation”16 or the Russian idea of an “all-out war once deterrence fails” may make a catastrophe more probable. A sign of a Russian attempt to emulate U.S. concepts of selective nuclear use for the purposes of “demonstration of resolve” or “de-escalation” caused a great alarm in the West when political tensions with Russia escalated in 2014-2015.17 Such concepts were perceived as lowering the “nuclear threshold” rather than preventing massive nuclear exchange. Besides the political split over Ukraine and disagreements on ballistic missile defenses and conventional global hypersonic systems, the two states are now deeply divided in their fundamental views on the role of nuclear weapons, assessments of strategic balance, and perceptions of possible causes of war. These contradictions and their origins should be understood by both powers. Russia and the United States should make an effort to forge a common, up-to-date understanding of strategic stability and enhance it by arms control provisions and through regular military and civilian contacts. Such common principles should postulate that, despite the end of the Cold War a quarter century ago, the nuclear posture of each side may increase the probability of nuclear war despite their mutual desire to avoid it. U.S. and Russian military programs affect each other and may incite an arms race. Weapon systems that threaten the survivability of each other’s strategic forces and command, control, communications, and intelligence assets imply a first-strike strategy and provoke pre-emption. While undertaking phased reduction of nuclear forces, both sides should reach agreements to alleviate mutual concerns about prompt and slow counterforce systems, even if those are designed against other opponents. Expanding defensive systems to reduce each side’s vulnerability to “rogue states” should only be based on U.S.-Russian agreements. 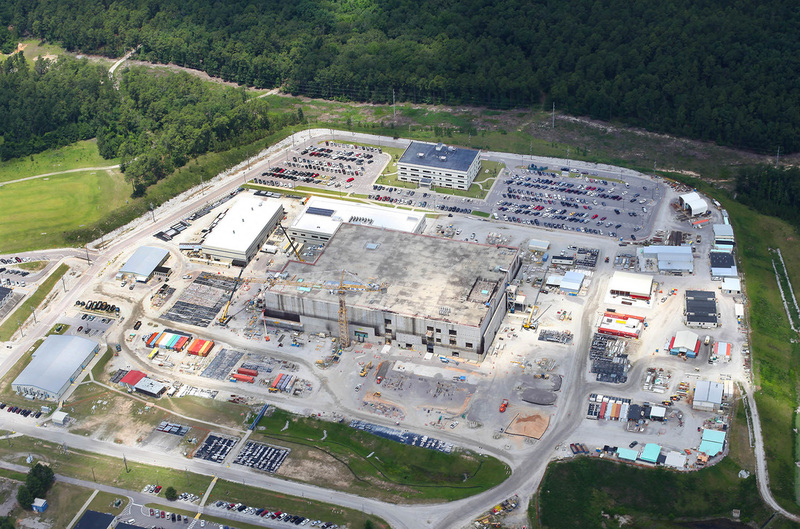 Systems and concepts blurring the line between nuclear and conventional operations are inherently destabilizing and should be subjected to limitations and confidence-building measures. There must be a mutual understanding that any use of nuclear weapons, however limited, is escalatory and should be excluded from bilateral strategic relations. Prevention of conventional aggression should be ensured not by a threat of nuclear escalation, even if called de-escalation, but by sufficient conventional forces or, still better, by mutual reductions of conventional troops and arms, limitations on military activities, and confidence-building measures. The rapid reintroduction of the possibility of nuclear confrontation in U.S.-Russian relations may serve as a serious warning that peace between great powers should not be taken for granted. Supporting it requires relentless effort and a much deeper understanding of the security outlook and strategic peculiarity of each other. This is one of the main lessons to be drawn from the quarter century that has passed since the end of the Cold War. 1. 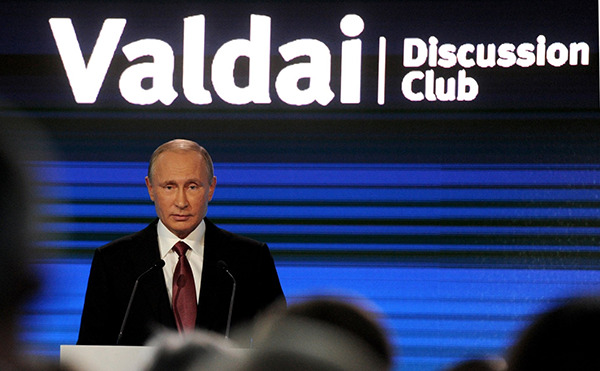 Vladimir Putin, excerpts from transcript of meeting with Seliger 2014 Forum participants, August 29, 2014, http://en.kremlin.ru/events/president/news/46507. 2. Jens Stoltenberg, “Adapting to a Changed Security Environment” (remarks, Center for Strategic and International Studies, Washington, DC, May 27, 2015), http://www.nato.int/cps/en/natohq/opinions_120166.htm?selectedLocale=en. 3. “Voennaya Doktrina Rossiiskoi Federatsii” [Military doctrine of the Russian Federation], Rossiiskaya Gazeta, December 30, 2014, http://rg.ru/2014/12/30/doktrina-dok.html. 4. U.S. Department of Defense, “Nuclear Posture Review Report,” April 2010, http://archive.defense.gov/npr/docs/2010%20Nuclear%20Posture%20Review%20Report.pdf. 5. Robert McNamara, The Essence of Security: Reflections in Office (New York: Harper and Row, 1968), pp. 51-67. 6. Vladimir Tolubko, Raketnyevoiska [Rocket forces] (Moscow: Voenizdat, 1977). 7. Agreement Between the United States of America and the Union of Soviet Socialist Republics on the Prevention of Nuclear War, U.S.-USSR, June 22, 1973, 24 U.S.T. 1478. 8. “Joint Statement on the Soviet-United States Summit Meeting,” December 10, 1987, http://www.presidency.ucsb.edu/ws/?pid=33803. 9. William Perry, My Journey at the Nuclear Brink (Stanford: Stanford University Press, 2015), p. 53. 10. David Hoffman, Dead Hand: The Untold Story of the Cold War Arms Race and Its Dangerous Legacy (New York: Doubleday, 2009), p. 149. 11. 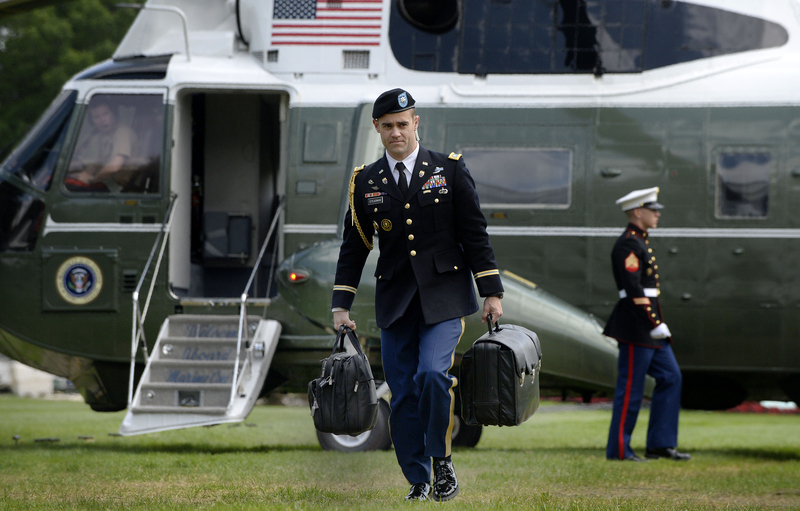 John T. Bennett and Eric Garcia, “Biden: Trump ‘Not Qualified to Know’ Nuclear Codes,” Roll Call, August 15, 2016. 12. “Chemodanchik nomer odin” [Briefcase number one], Trud, January 11, 2000. 13. 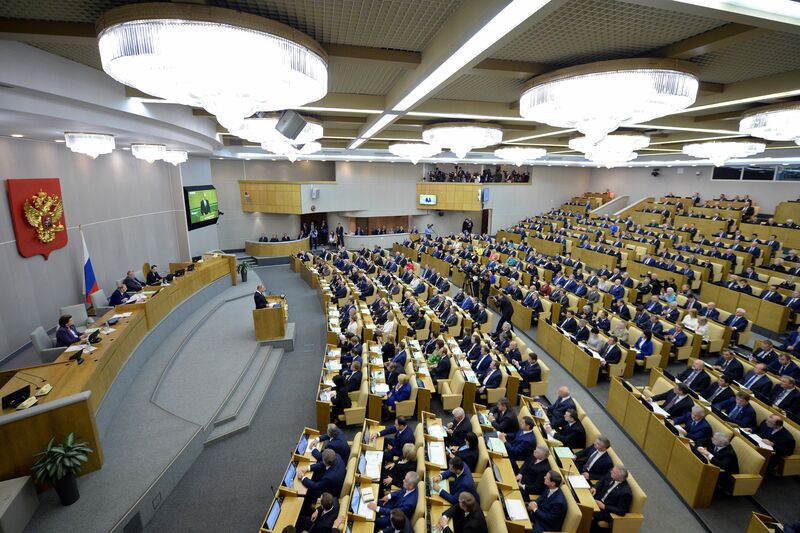 While in the Duma, the author submitted a draft law titled “On the succession of supreme command,” under which the president would be the only holder of the “Cheget” terminal and his successors would be the prime minister and the speakers of the two chambers of parliament. The rest of the Duma and executive authorities refused to promote this draft law. 14. 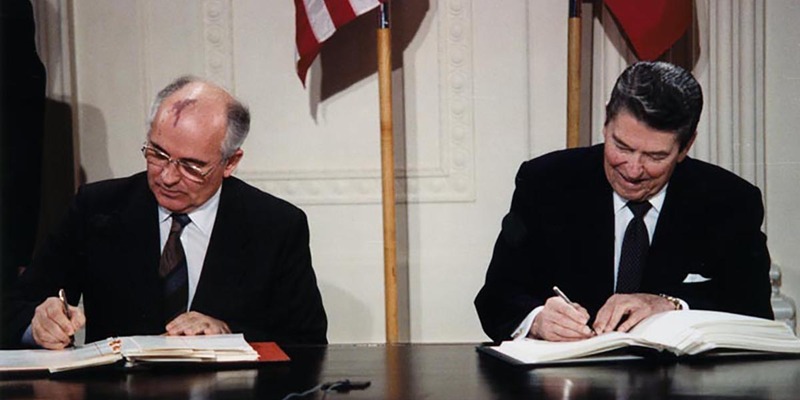 “Soviet-United States Joint Statement on Future Negotiations on Nuclear and Space Arms and Further Enhancing Strategic Stability,” June 1, 1990, http://www.presidency.ucsb.edu/ws/?pid=18541. 15. Milton Leitenberg, “Presidential Directive (P.D.) 59: United States Nuclear Weapon Targeting Policy,” Journal of Peace Research, Vol. 18, No. 4 (December 1981): 314-315. 16. For a discussion of these concepts, see Brad Roberts, The Case for Nuclear Weapons in the 21st Century (Stanford: Stanford University Press, 2015), ch. 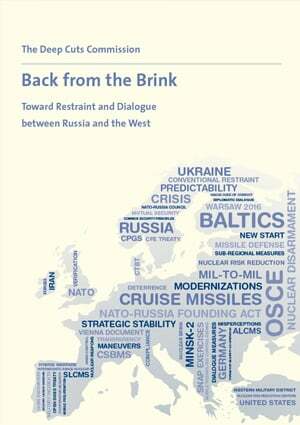 6; Franklin C. Miller, “Adjusting NATO’s Nuclear Policies: A Five Step Program,” Atlantic Council, March 23, 2016, http://www.atlanticcouncil.org/blogs/natosource/adjusting-nato-s-nuclear-policies-a-five-step-program. 17. Ministerstvo Oborony, Aktualnie Zadachirazvitiya Vooruzhennykh Sil Rossiiskoi Federatsii [Critical tasks of the development of the armed forces of the Russian Federation] (Moscow: Ministerstvo Oborony, 2003); Markell Boytsov, “Terminologiya v voennoi doctrine” [Terminology of the military doctrine], Nezavisimoe Voennoe Obozrenie, October 31, 2014, http://nvo.ng.ru/concepts/2014-10-31/10_doctrina.html; Konstantin Sivkov, “Pravo naudar” [Right to strike], Voenno-Promyshlennyi Kur’er, March 5, 2014, http://vpk-news.ru/articles/19370. 18. Robert Legvold, Return to Cold War (Cambridge, UK: Polity, 2016), p. 132. Alexey Arbatov is the head of the Center for International Security at the Russian Academy of Sciences’ Institute of World Economy and International Relations and head of the Nonproliferation Program at Carnegie Endowment for International Peace’s Moscow Center. He served in the Russian Parliament and was deputy chair of the Defense Committee. This paper is part of a project of the American Academy of Arts & Sciences, and the author expresses gratitude for assistance from Robert Legvold.